A popular alternative to the classic round cut, princess cut diamonds provide maximum brilliance in a striking square form. Looking for a diamond shape that’s a bit different, but that doesn’t stray too far from the traditional? 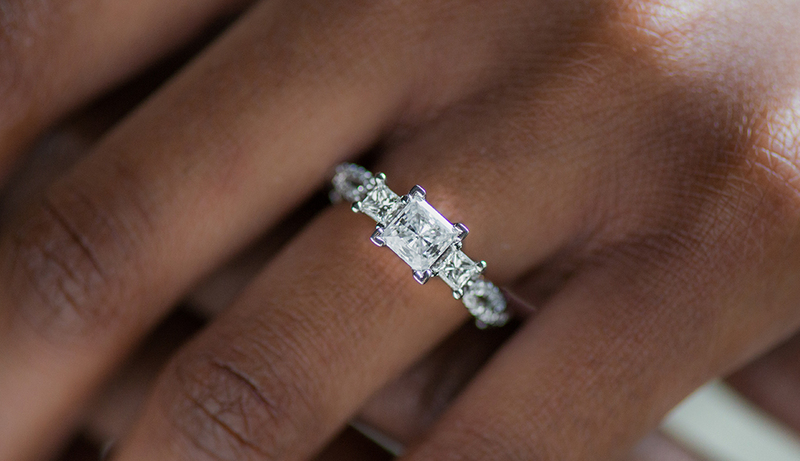 With its clean, modern lines and intense sparkle, the four-sided princess cut is right on point. Before we begin, let’s address the square elephant in the room; princess cut diamonds do not resemble an actual princess. The proportions are way off! But semantics aside, princess cut diamonds are considered royalty among diamond cuts thanks to their exquisite beauty. Princess cut diamonds, like round cuts, are typically comprised of 58 facets that increase light dispersion for maximum fire and brilliance. In other words, they pack a tremendous amount of sparkle into a neat little square. Princess cut diamonds can be worn and enjoyed by all, owing to their neutral shape. However, they look particularly fetching on slender fingers, as their vertical lines delicately accentuate finger length. 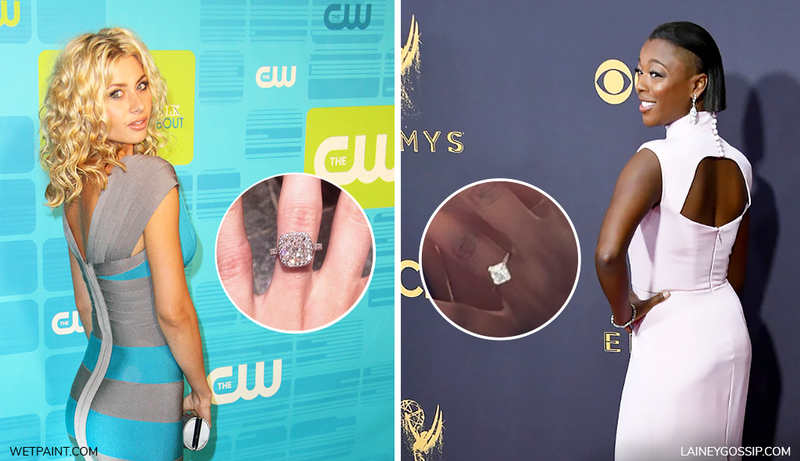 Who Rocks Princess Cut Diamonds? Celebs such as Solange Knowles, Kate Bosworth, Hilary Duff, Snooki, Aly Michalka, and Samira Wiley have been flashing all the right angles. Don’t be fooled by the shape of their stones, though – these women are anything but square! 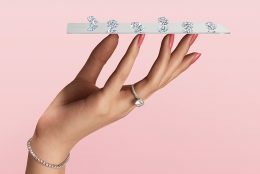 The somewhat unconventional form of the princess cut diamond allows the wearer to express their bohemian, free-spirited side. And like the wearer, these diamonds sparkle well beyond their borders. When a diamond cutter transforms a rough diamond into a round cut, a good deal of the stone is lost. This isn’t the case with princess cut diamonds, which retain approximately 30% more of the rough stone. Carat for carat, you’re getting more diamond surface – and, therefore, sparkle – making it better value for money. Princess cut diamonds benefit from settings that protect their corners from daily wear and tear. You’ll often find them mounted as solitaires in four-prong settings, but bezel settings provide just as much protection. 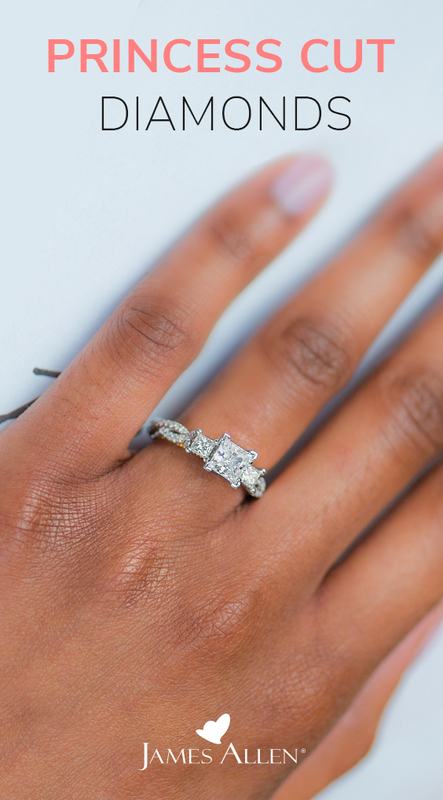 Whichever setting you choose, ensure that the prongs cover the diamond’s corners completely to avoid accidental chipping. To really make your princess cut pop, try pairing it with complementary side stones such as baguettes or tapered baguettes. Not only does this increase the amount of sparkle, it also draws the eye toward the center stone. If symmetry is important to you – and it should be – check out our premier collection of ideal cut diamonds, True Hearts by James Allen™. Available in princess, round, and cushion cut, these perfectly proportioned stones simply ooze quality. It isn’t just rings that are fair and square. Princess cut diamonds are also available in a range of fine jewelry that’s at once classic and dramatic. Enchanted by a princess? Find your princess cut diamond engagement ring. Seeing princess cut diamond jewels at every corner? Let us know your favorite quadrilateral cuties in the comments below or on our social channels: Instagram, Facebook, Snapchat, or Twitter. Pin this image so you can look these princess cut pieces square in the facet!